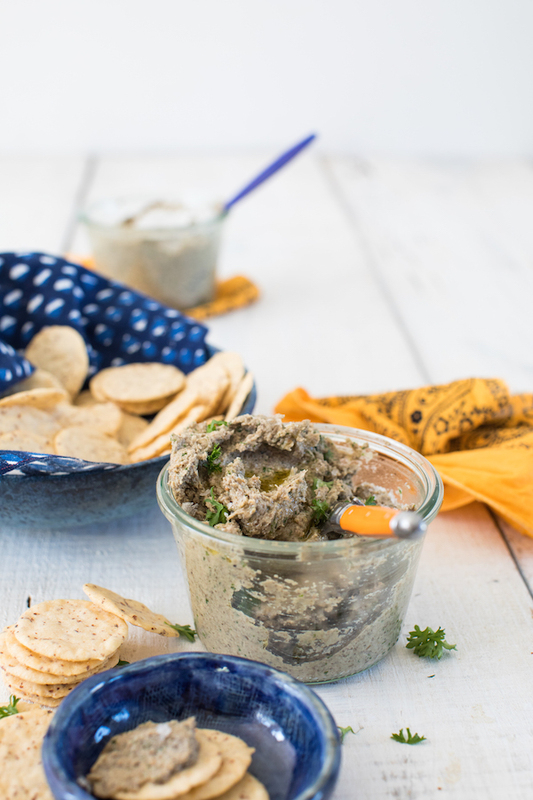 A rich DELICIOUS vegan paté that will make any meat lover a plant based believer. In a large sauté pan over medium heat add the coconut oil and heat until melted. Stir in onions, garlic, 1/2 teaspoon salt and 1/2 teaspoon pepper. Cook, stirring, just until onions are translucent. Using a slotted spoon, remove cooked onions and garlic to a bowl leaving the coconut oil in the pan. Add mushrooms into the pan and cook, stirring occasionally, until golden brown. Remove from heat. Add the cashews to a food processor and process until finely ground. Add in mushrooms, onion mixture, garlic and parsley. Process until smooth. Serve with crackers.